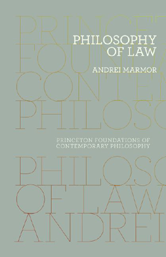 In addition to exploring the major issues in contemporary legal thought, Philosophy of Law provides a critical analysis of the people and ideas that have dominated the field in past centuries. It will be essential reading for anyone curious about the nature of law. CHAPTER ONE A Pure Theory of Law? CHAPTER FOUR Is Law Determined by Morality? CHAPTER FIVE Is Legal Philosophy Normative?